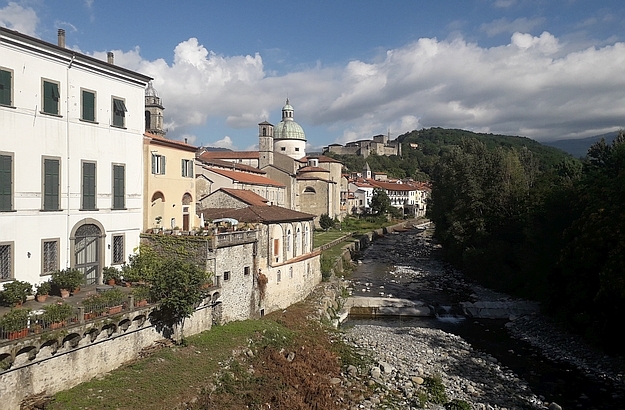 Nestled between two rivers, the town with the “trembling bridge”: Pontremoli. The bar Luciano is home to Tuscany’s most secret aperitif, the Bianco Oro. The lovely Trattoria Norina directly opens onto the Magra River. 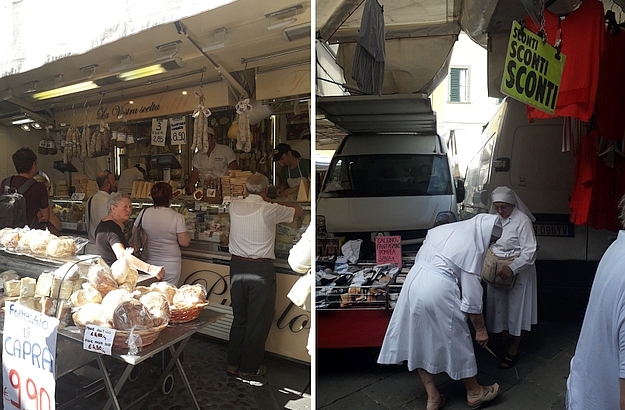 Pontremoli’s bustling and colourful Saturday morning market. 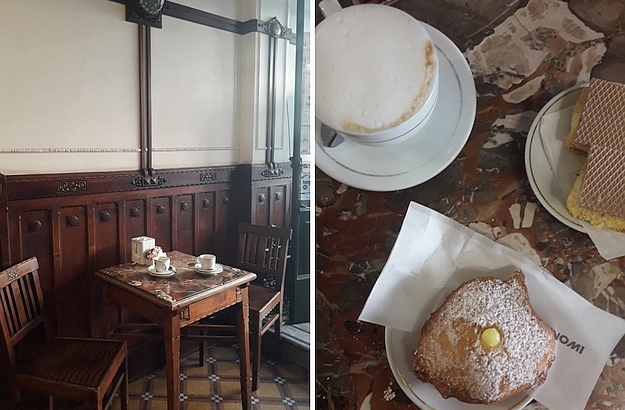 At the Caffè degli Svizzeri, you will taste the best pastries ever! I had almost forgotten those sweet days of yore when, in August, I was unexpectedly reminded of them in Pontremoli, a little town lying in Northern Tuscany between two small rivers, the Magra and the Fiume Magra. Coming from the Italian words ponte (bridge) and tremare (tremble), the name Pontremoli literally means “trembling bridge”. I was on my way to the city of Lucca, and just drawing abreast of Pontremoli, when I decided to pull off the highway and stop somewhere for a quick coffee. — I shouldn’t, really? I chuckled with a smile. So, guess what: this is what I did. 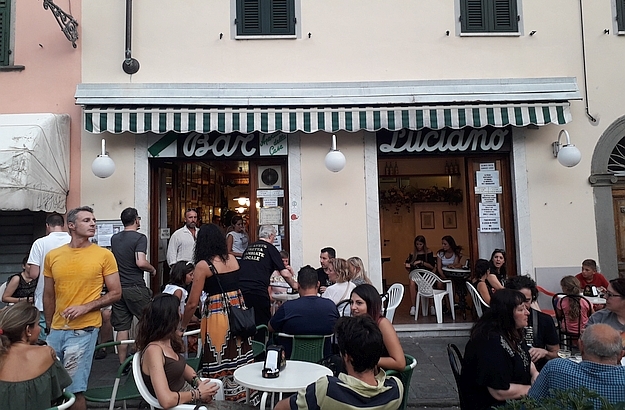 I had at Luciano’s an excellent Bianco Oro, a “secret” local aperitif invented by Roberto, the owner of the bar, who said to me that I could not stop in Pontremoli without eating a plate of testaroli al pesto, the local specialty of the Lunigiana region. 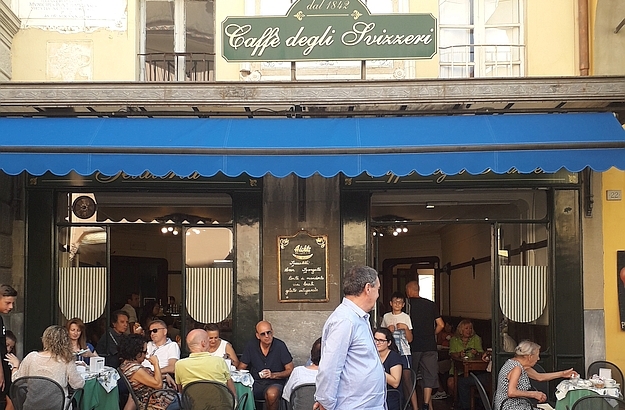 So I followed his directions to the Trattoria Norina, a lovely hole-and-corner restaurant overlooking the Magra River, and located at the number 16 of the Via Garibaldi. 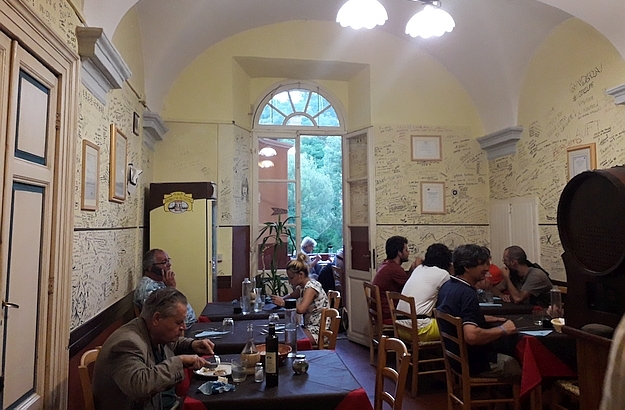 While enjoying my meal, I called the owners of the villa in Lucca to tell them that I was being kept back in Pontremoli, and would probably arrive a bit later than expected. And this is what I did, of course.